The Collbran Lamp features a hand woven rattan oval sphere, displayed on a tall, tapered base, finished in an aged coffee stain, with faux wood grain texture. The round hardback drum shade is a khaki linen fabric. Available to trade professionals at Uttermost.com. 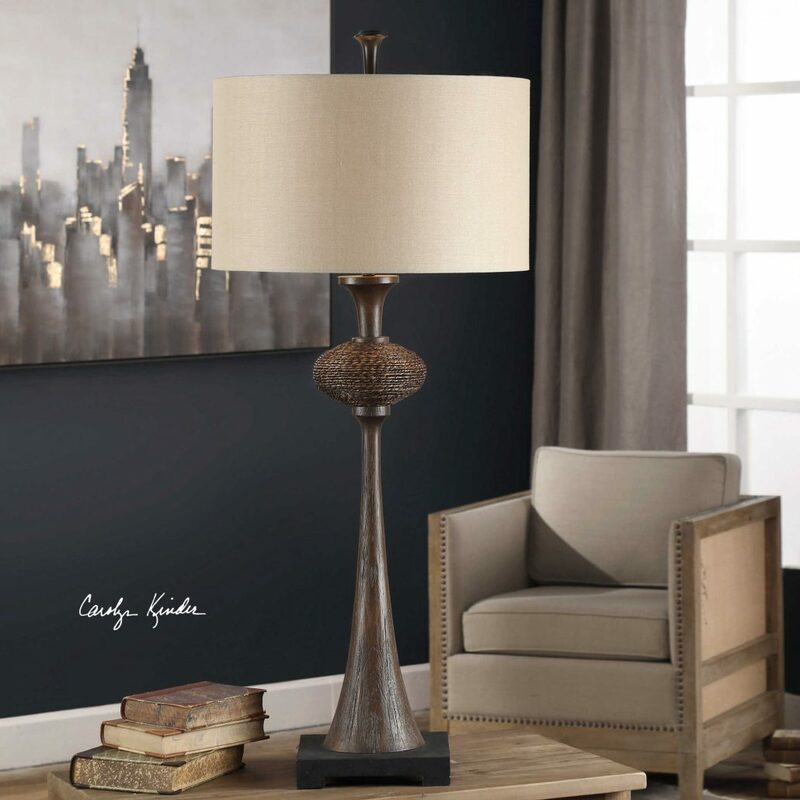 For retail purchase Google search term “Carolyn Kinder Collbran Lamp”. For more information, email Carolyn Kinder International.